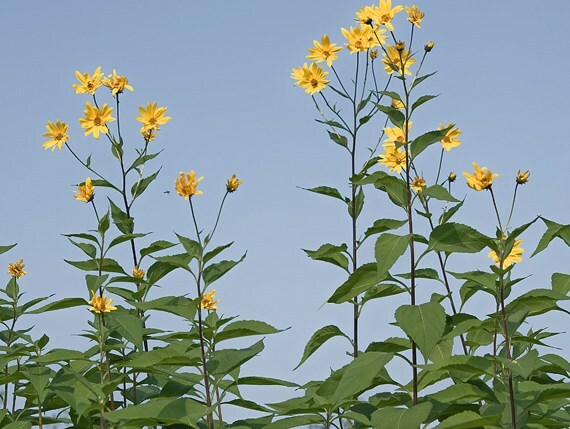 Helianthus tuberosus (Jerusalem artichoke) is a perennial herb/ (family Asteraceae) with yellow flowers and oval shaped leaves found in the San Francisco Bay area and south coast ranges of California. It is native to eastern North America. It favors grasslands, woodlands, and riparian and bottomland habitat. It reproduces via seeds and tubers. Birds are the main source of seed dispersal.